At one time, boxing’s super flyweight division was so exciting that an entire bout card series was created to showcase its previous king, Román “Chocolatito” González. Back in 2017, González was not only the WBC Super Flyweight World Champion, but he was considered by many to be the best pound-for-pound boxer in the world. All that changed, when a former garbage collector named Srisaket Sor Rungvisai came in. He first defeated the Nicaraguan via decision, and later returned to knock out “Chocolatito,” which shook the division, and the boxing world, to its core. Now with a new king, the division remains as exciting as ever. Not only is it a highly-competitive bracket, but it has given us some of the best bouts of this year. The top roster of talent isn’t afraid to do battle with each other, which has only strengthened the division. Additionally, there are a lot of young guys coming up who are hungry to make a name for themselves. Tipping the scales at 115 pounds (or 52 kilograms), these guys are fast, high-volume punchers known for their exceptional cardio. ONE Championship CEO Chatri Sityodtong immediately saw the untapped potential in this division, and he will be giving the opportunity of a lifetime to Srisaket. 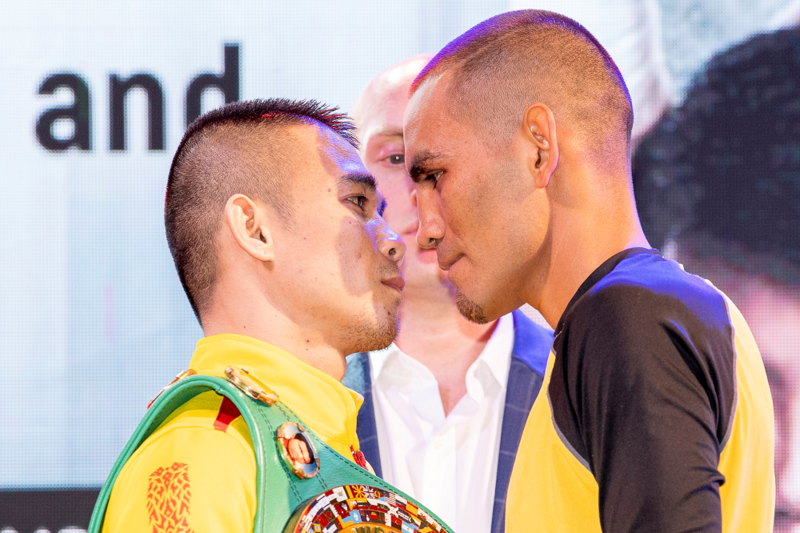 Headlining ONE: KINGDOM OF HEROES, Srisaket will get to defend his WBC Super Flyweight World Title in his homeland in ONE’s inaugural boxing match-up. It will be his third title defense overall, but very first in Thailand. His opponent, Iran Diaz, is quickly rising through the ranks of the division. He has an overall record of 14-2-3, with six of those victories coming from KO, which earned him the nickname “MagnifiKO.” Since the day he stepped foot in a boxing gym, winning a world title has been Diaz’s ultimate goal. Now, thanks to Sityodtong, he will finally have that golden opportunity. Taking on the current champion, the Mexican challenger will definitely have his hands full. Srisaket is a hard punching and extremely exciting boxer who has the support of a nation behind him. Including boxing as part of the ONE Super Series, specifically the super flyweight division, has created a lot of international media attention for the smaller guys who are often overshadowed by the heavier weights. Opportunities like these with ONE Championship are giving all boxers something more to work towards.